USA / CANADA CUSTOMERS: We cannot ship with the fitting kit due to customs restrictions. You will need to source your own silicone adhesive. We use the Würth Silicone and Primer Kit listed here. Optional fitting kit includes primer and silicone sealant. Two versions available - Standard (30cm width) & Maxi (31cm width). See below for further details. E43 approved 4mm toughened glass. Silicone adhesive heat tolerance is minus 40 to plus 90 degrees C.
Fitting Service available - just call us. 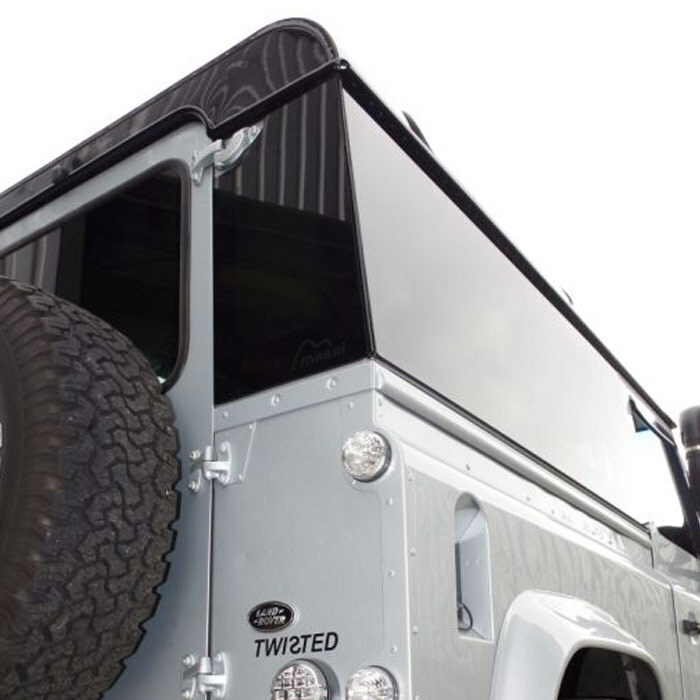 Fits all Defenders from Series III onwards. 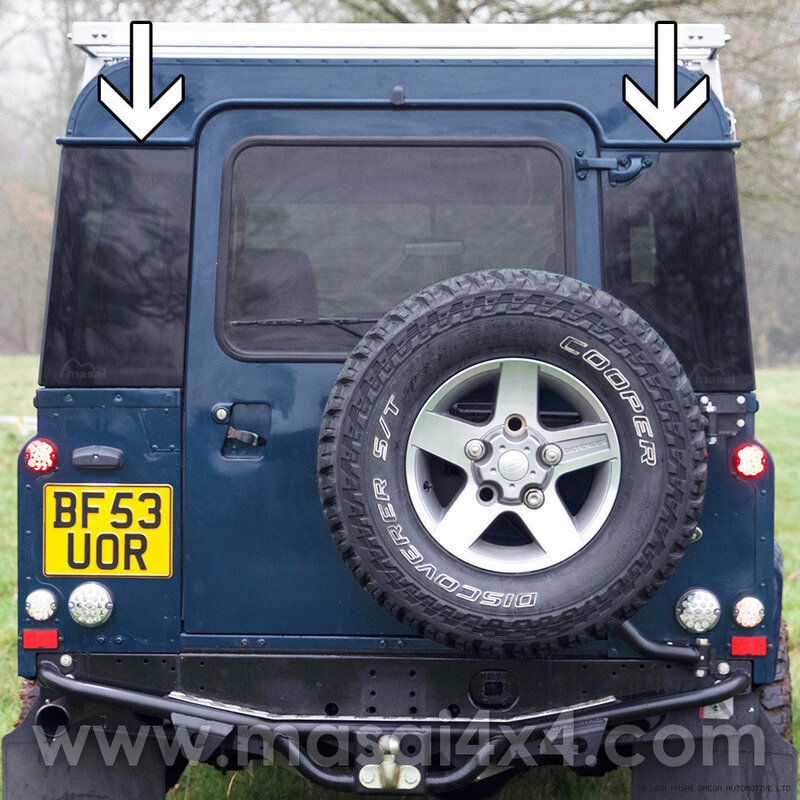 REAR QUARTER LIGHTS: We now have two versions, the standard version which we have always had which leaves a 1cm gap on the outside edge, and a new version which is 1cm wider and takes the quarter light glass right to the edge of the vehicle. (You will need to fill the edge joint with sealant). See the last two thumbnail photos on the right for a visual comparison. 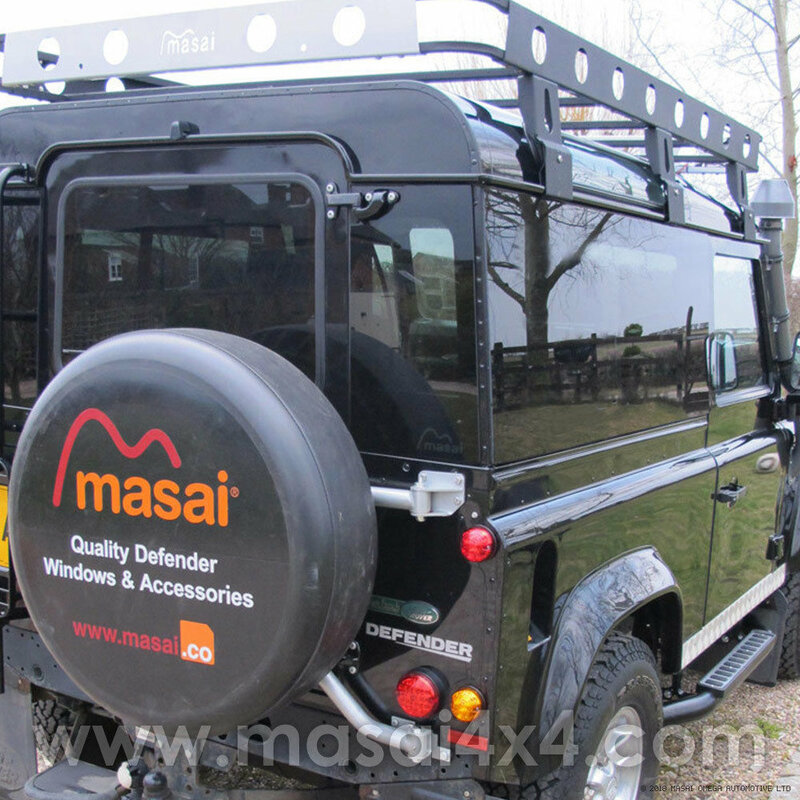 These bonded quarter lights are designed to go with the matching Masai Panoramic Tinted SIDE Windows, which you can buy as a kit that can include these Quarter Lights and tinted rear door glass.